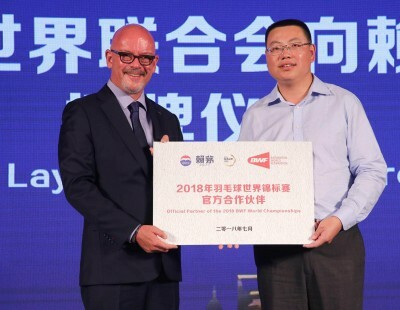 China claimed two doubles titles and Japan one as curtains came down on the TOTAL BWF World Championships 2018 today in Nanjing. 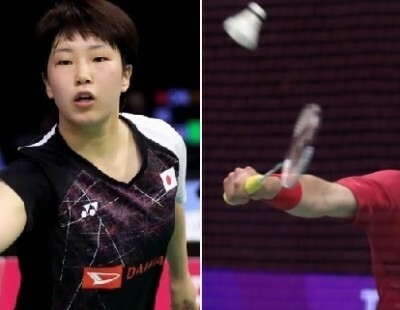 Japan were assured of the Women’s Doubles title and China the Mixed Doubles even before finals day began. 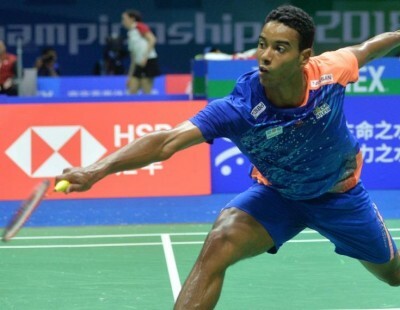 The Men’s Singles and Men’s Doubles saw the two East Asian powerhouses face off. 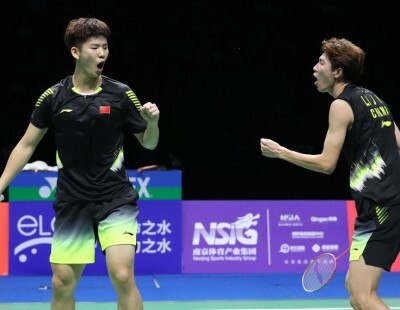 And with Kento Momota beating Shi Yuqi in the Men’s Singles, there was a lot at stake for the hosts when home hopefuls Li Junhui and Liu Yuchen took on Takeshi Kamura and Keigo Sonoda in the Men’s Doubles clash. 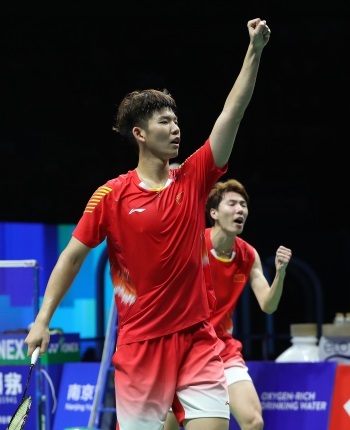 To the delight of the packed audience, Li and Liu outgunned Kamura and Sonoda after a pitched battle, 21-12 21-19, to get China on level terms with Japan in the gold medal placings. 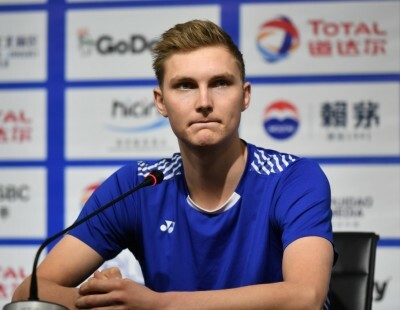 “We were out of form earlier this year, so we didn’t expect too much here. We didn’t feel any pressure at all playing in front of our home crowd; we were inspired by their support. 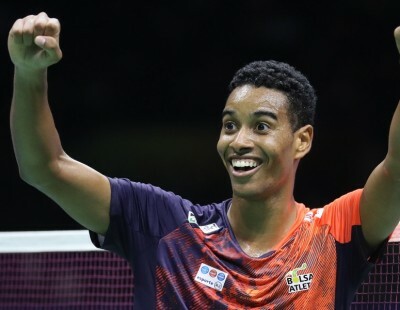 It was a very closely-fought match and I’m sure the audience enjoyed it. 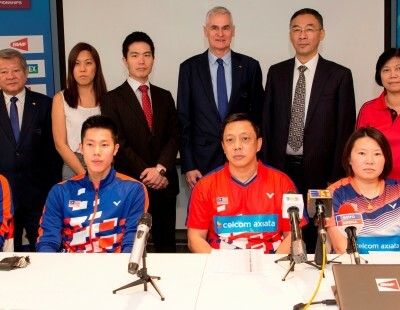 This means all our hard work has been worth it,” said Li Junhui. 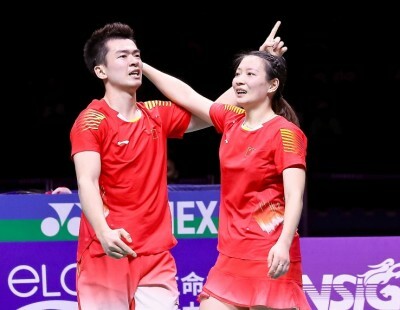 Zheng Siwei and Huang Yaqiong claimed the Mixed Doubles title over compatriots Wang Yilyu/Huang Dongping, 21-17 21-19 for their first World crown. 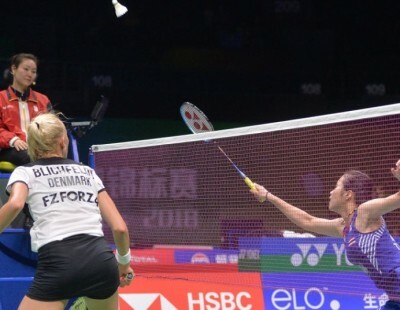 Mayu Matsumoto and Wakana Nagahara (featured image) completed one of the quickest ascents in badminton with a come-from-behind victory to take the Women’s Doubles title. 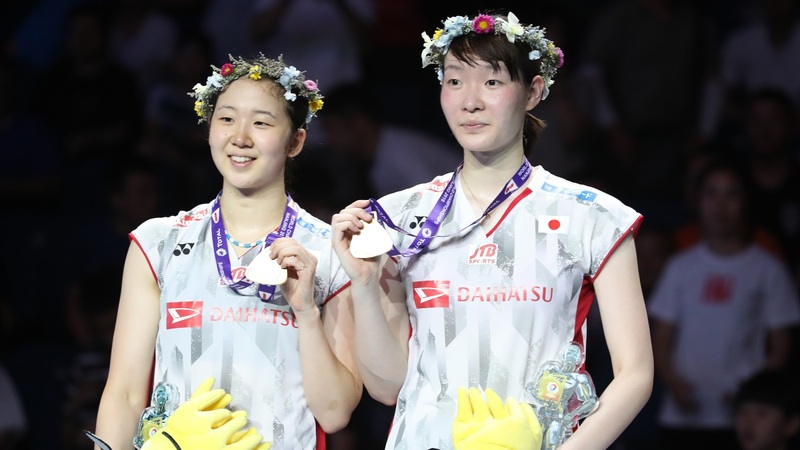 The young Japanese duo, in only their first World Championships, virtually picked the pockets of their compatriots Yuki Fukushima and Sayaka Hirota at the end of a dramatic third game to win the crown as Japan’s first champions in the discipline since 1977. 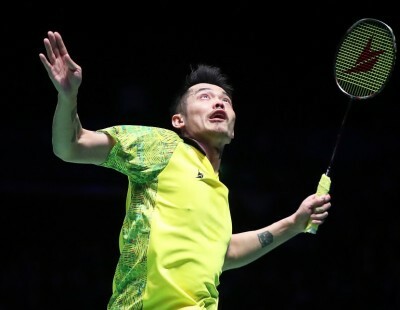 Fukushima and Hirota had nearly nailed the title in their second World Championships final, with a healthy lead in the third and two match points at 20-18. 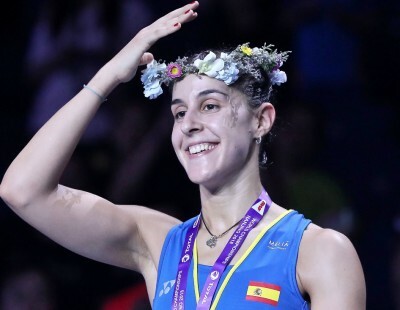 The challengers steadily whittled down the lead, and both match points were saved with nerveless play, and then the young hopefuls earned their own match point with a rasping shot from Matsumoto that bisected the space between her opponents. The title was theirs when Fukushima slammed a smash just wide of the alley. There were copious tears on both sides – Fukushima buried her head in her hands, while Nagahara and Matsumoto embraced themselves, swathed in broad smiles. 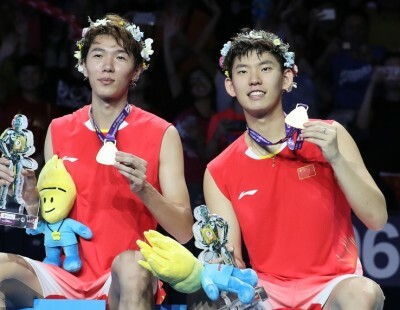 Nagahara and Matsumoto thus became the first World champions from Japan since Etsuko Toganoo and Emiko Ueno who won the Women’s Doubles in the inaugural year of the World Championships in 1977. 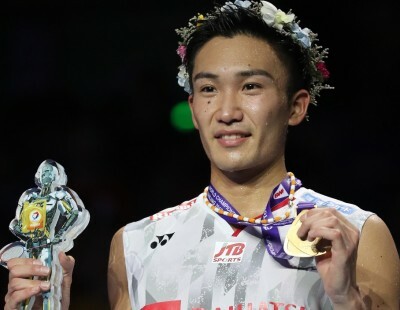 “We knew yesterday that Japan were assured of the title; we of course wanted to be the ones who got the gold,” said Matsumoto. The match progressed along expected lines, with steady play from both ends and little to separate the two. Fukushima and Hirota stepped on the gas in the third and were up 18-13, before their challengers strung together a sequence of points. 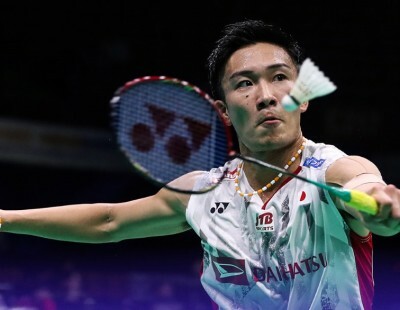 A 42-shot rally was followed by a 37-shot rally that helped Matsumoto and Nagahara inch close at 18-19, but then a clear went long and Fukushima and Hirota had two match points at 20-18. The last point, however, proved to be elusive.